Is there more to our existence than progressing through the decades hoping to reach the finish line unscathed? The death of a child redefines our journey. Each decade something different seems to happen to our bodies and lives. Media pundits try to prepare and help us. They tell us what we can do to stave off unwanted changes like wrinkles, belly flab, aging. They give us suggestions about relationships and job searches in our 20's; how to strengthen our marriage and raise children in our 30's. They remind us to select age appropriate fashion and deal decisively with rebellious teens in our 40's. They ask us if we've planned for our old age and suggest how to care for aging parents in our 50's. They show pictures of movies stars to demonstrate that we can make our 60's the 'new' 50's for those who can't face the fact that they are no longer spring chickens. Then, in our 70's, they remind us to stay active in our retirement years and offer savvy ways to make sure the government doesn't get our money when we die. The pundits are always available with tips to help us get through the decades of life. Unfortunately life doesn't always fit into that 'decade' preparation plan. Stuff happens. Stuff that never seems to show up on the 'decade' plan. Stuff that reminds us the difference between life's challenges and unthinkable, irreversible loss. Stuff that forces us to re-evaluate everything. In the circle of life we unwittingly assume we'll leave this earth before our children. We occasionally hear about 'this tragedy' or 'that tragedy' where a child(ren) dies, but it happens to someone else. Heartbreaking, but not our story;...... until one catastrophic day, when it becomes our story. We are forced to accept that our child is physically gone from this earth. Questions arise. What do I really believe happened to them? Is it over forever? Has their spirit gone to heaven/crossed over? Where is heaven/the other side? Can I feel my child's presence around me? Was there a predetermined spiritual lesson involved? Do I believe I have been punished or my child was punished? Have my feelings about religion/faith been altered? 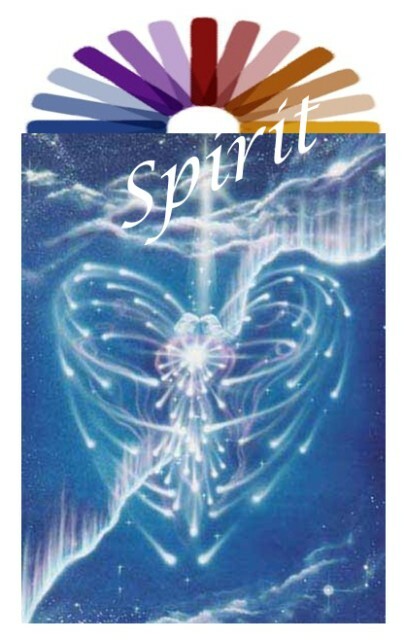 Is our spirit/soul the real essence of what makes us, us? New question. Were our souls aware of this journey before we incarnated to earth? Betty Eadie in her book, Embraced By The Light states, "We were very willing, even anxious, as spirits to accept all of our ailments, illnesses and accidents here to help better ourselves spiritually. In the spirit world/Heaven our earth time is meaningless. The pain we experience on earth is just a moment, just a split second of consciousness in Heaven/spirit world, and we are very willing to endure it."